My first non-Scottish explore (apart from the Manchester underground tour). We ventured just over the border into England for this one, though it was still close enough to easily do as a day trip. The Cornhill Branch opened in 1887, running from Alnwick to the small village of Cornhill-on-Tweed, near Coldstream. It was not a huge success and closed to passengers very early, in 1930, although freight continued to use it for a while longer. 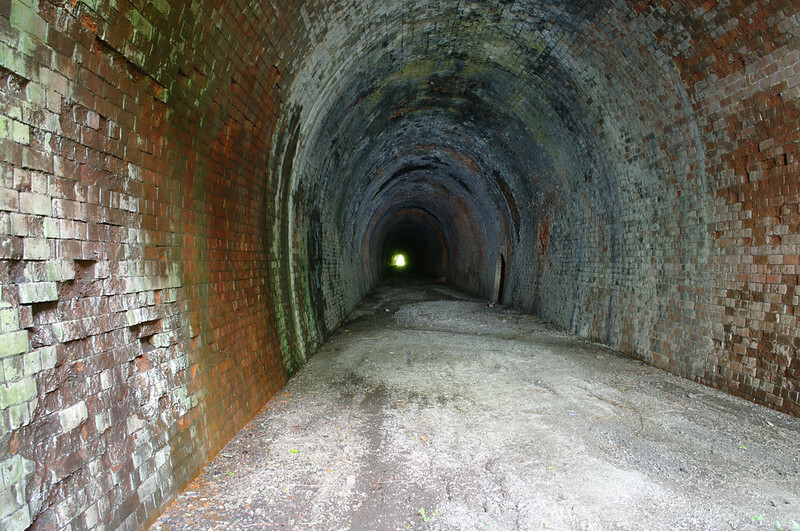 The 35 mile line took a very twisty route through the hilly country, requiring only one short-ish tunnel: the 352 yard Hillhead Tunnel, near Edlingham. 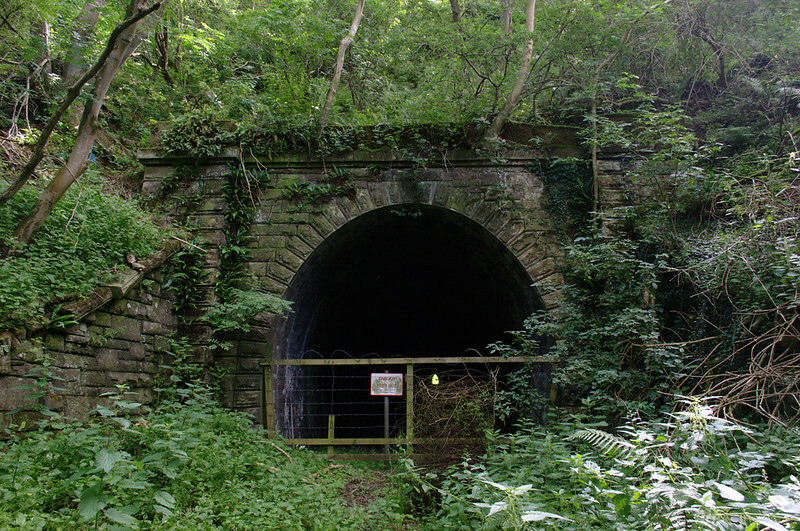 (Technically this isn’t the only Hillhead Tunnel in Britain; there’s another one, and I’ve already walked through it without even realising at the time. 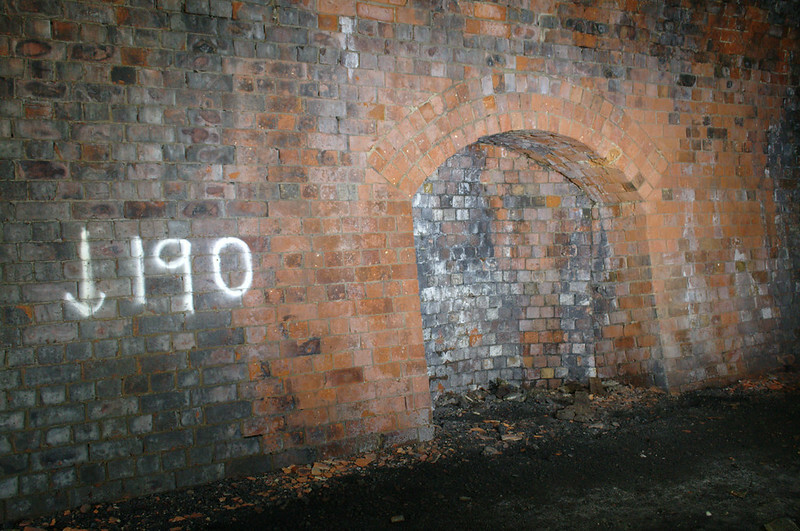 According to the Forgotten Relics database, which is usually very reliable, the covered section of Botanic Gardens Station in Glasgow where the station building used to sit up above between the air vents is officially a 46 yard long tunnel, and it’s called the Hillhead Tunnel due to being in the Hillhead district of Glasgow. So I’m glad to have now been able to complete the whole set of Hillhead Tunnels). Surprisingly for such a short tunnel, Hillhead has two ventilation shafts. 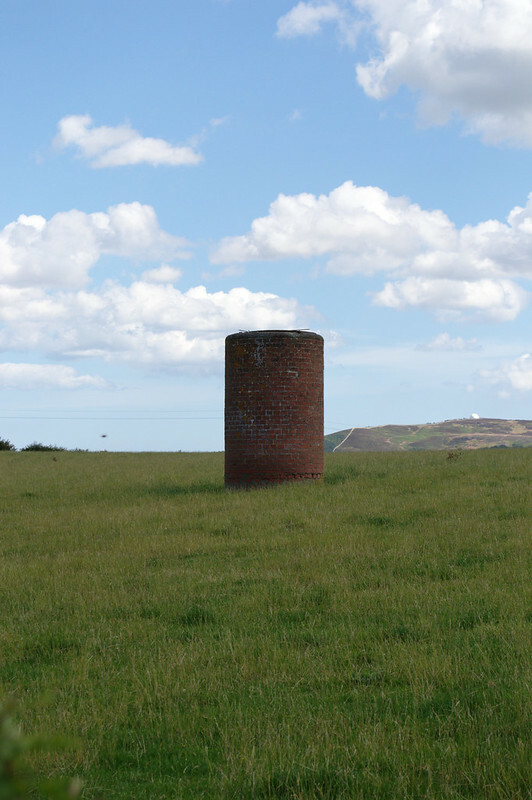 They’re still open and they protrude into the field up above in the form of these cylindrical brick “pepper pots”, which we saw before we even got anywhere near either of the tunnel portals. 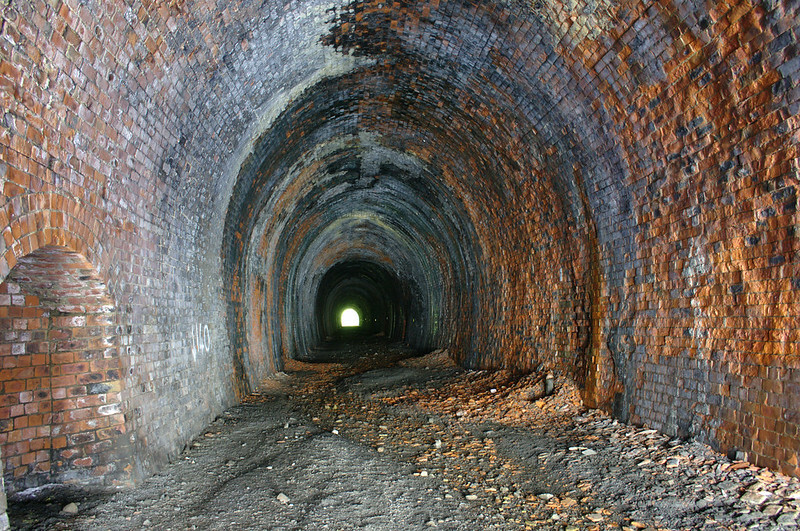 Why this tunnel has two ventilation shafts when many much longer tunnels don’t even have one is a mystery. The approach cuttings are both now very overgrown. The north portal looks as if it would have been an impressive one in its day, but it’s now covered in various sorts of vegetation, including a tree which has taken root in between two of the stone blocks up above the arch, forcing them apart. 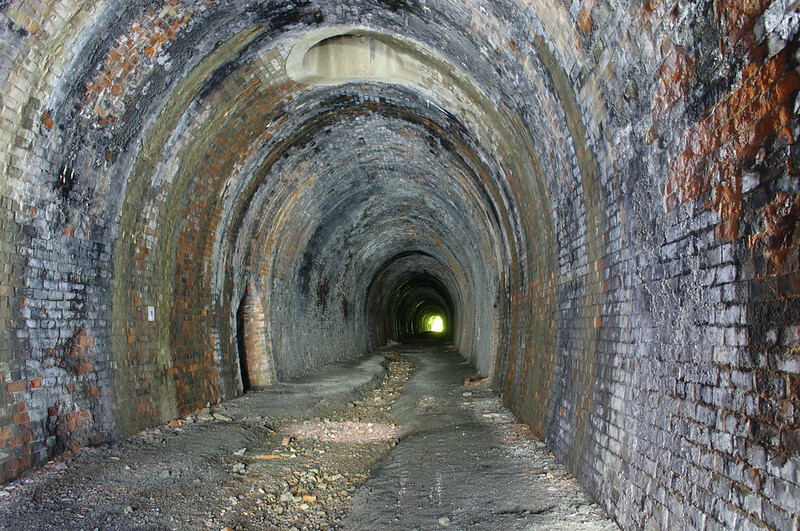 Inside, the tunnel was mostly dry, with the exception of calcite running down the walls in a few places. It’s obviously been much wetter at times, however, as evidenced by the channel that running water has left in the ground. There are frequent refuges in the side walls, and they’re an unusual shape compared to others I’ve seen – very wide, fairly deep, but not very tall. There was nothing to suggest why they might have been built that way. 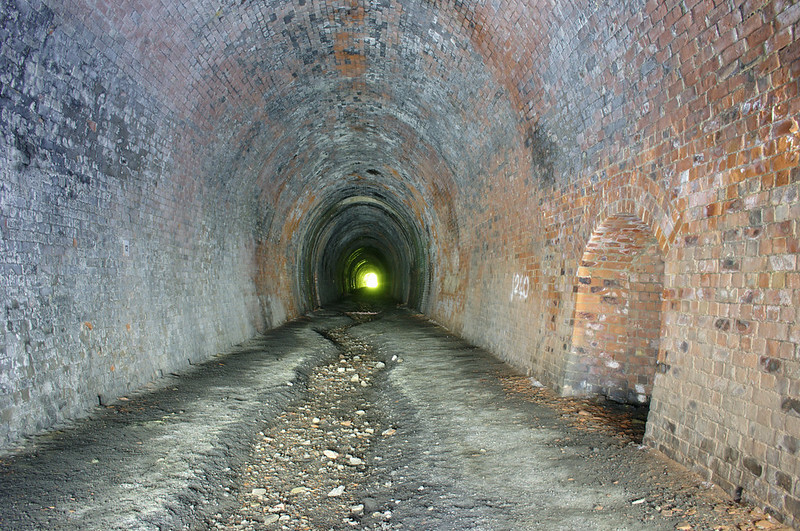 In the central section, the tunnel lining has not fared so well. The facings of most of the bricks have come off and now lie in piles on the floor. I’d never explored a tunnel with open shafts before (though Kelvingrove had a very impressive capped shaft), so it was interesting to see them from below. The bases of the shafts are surrounded by rings of concrete, a relatively new building material when the tunnel was constructed. 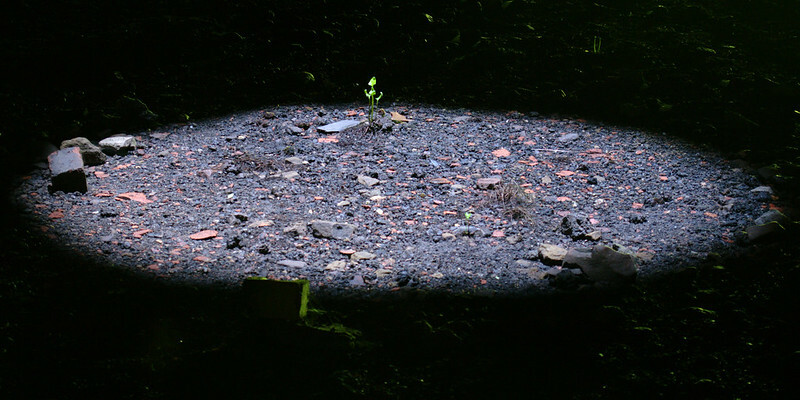 With our torches off, faint circles of light can be made out on the floor where daylight pours in from above. In one of these, a tiny plant has bravely started to grow! 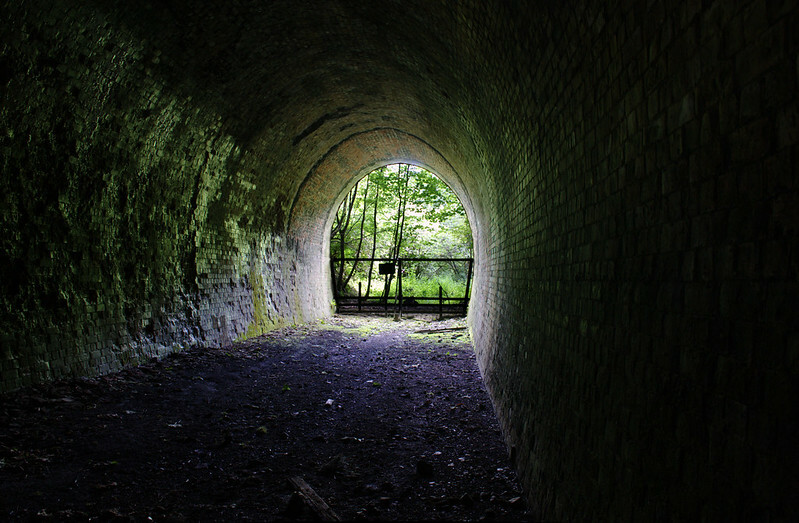 The south portal leads out into an equally overgrown cutting – in fact, there is so much greenery right outside that the light coming in from the portals has a very noticeable green tinge in all my photos. 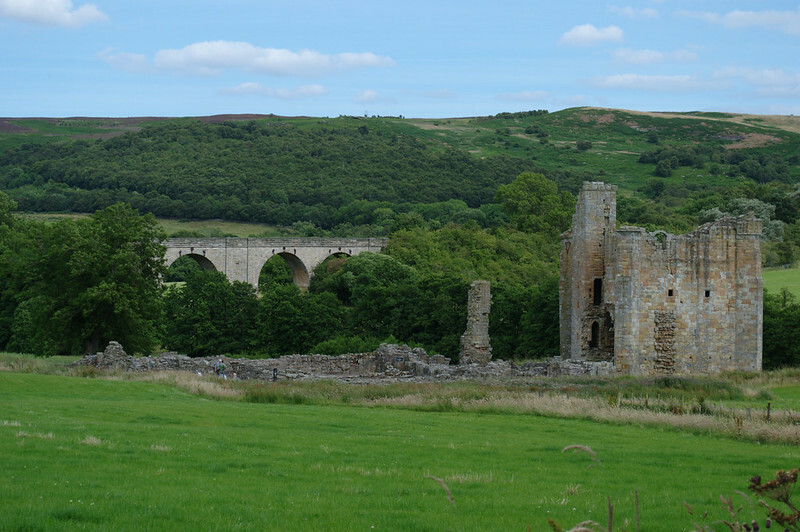 While we were down here, we also found the time to go and see the Edlingham Viaduct, a mile or so further south on the same branch line. The ruin in front is what’s left of Edlingham Castle. There is a huge crack in the stone tower, and part of it now leans out at a very alarming angle – if anything here deserves a “Danger” sign, surely it’s that rather than the fairly harmless tunnel!